This is to officially inform you that an ATM Card that worth USD $2.5 Million (Two Million, Five Hundred Thousand United States Dollars) has been issued as a compensation payment for all the short listed 2012 till date scam victims whose email address was recovered during the recent internet probing and investigation process. Your email address was found among the list so we are in no doubt believed that those syndicates must have collected monies from you through their dubious criminal ways. 5. Send your ID card to confirm your name. Your immediate compliance to this will expedite actions on your Payment because here in this office, we have a lot of listed victims to be settled. Scam alert! The E-mail above is a SCAM. 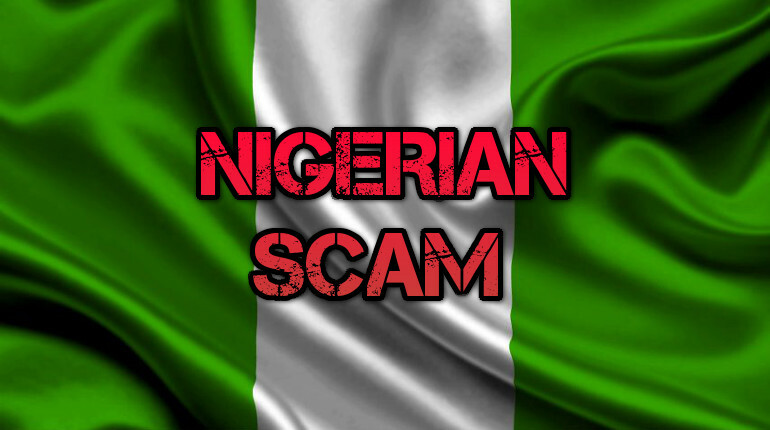 It’s a Nigerian scam, the story and all names & roles are fake. If this wasn’t so sad it’s almost funny to see scammers scamming ‘scam victims’ with this fake compensation payment. The scammers will most likely ask you for money upfront as ‘costs’ before you get the ‘card’ (which you will never get offcourse).